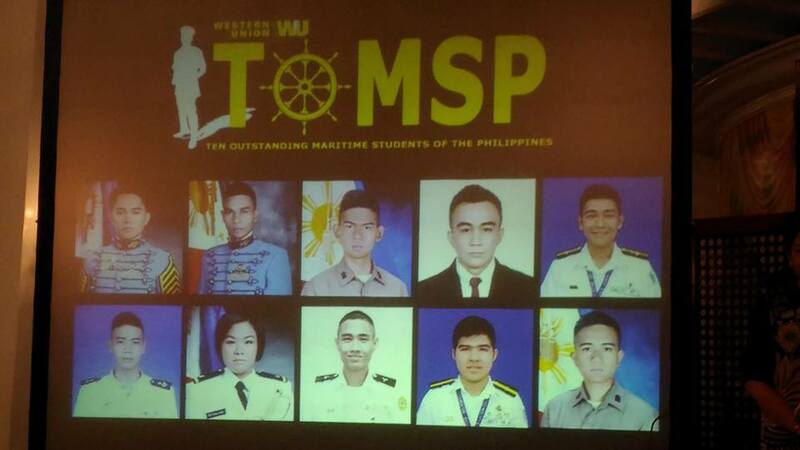 Western Union, in an effort to encourage future mariners, conducted a nationwide search for the top ten outstanding maritime students who have created a positive impact in their communities and will also serve as an inspiration to the younger generation. 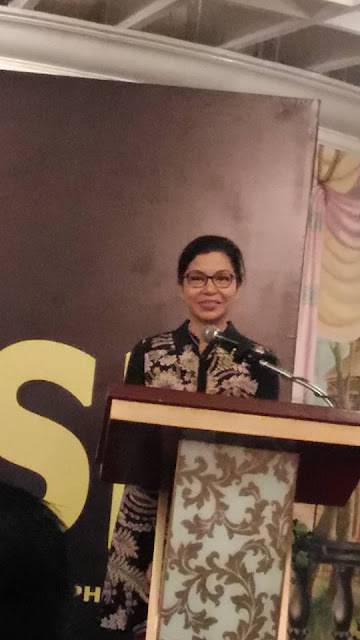 The awarding ceremony was help at The Roma Salon of Manila Hotel on September 28, 2015. The event was graced by the awardees and their families, the National Seafarer's Day steering committee, the Western Union Leadership team, and the 2014 awardees. 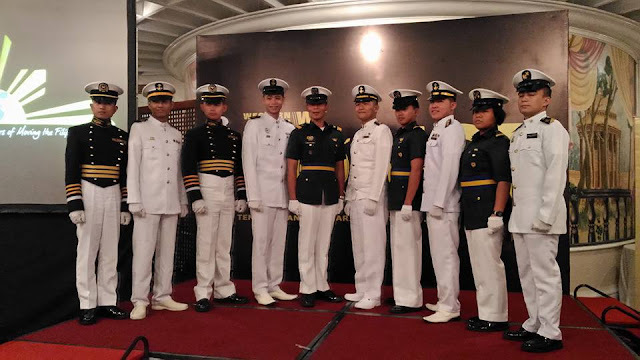 The students were evaluated and given points according to their expertise in theoretical and practical application of Western Union's and Filipino's core values, and the four pillars of maritime law. The students's school were not revealed to the judgement panel. Among the hundreds who entered the search, the chosen top 10 outstanding students who had exemplified the virtues of the ideal seafarer, exhibiting integrity, trustworthiness, honor, passion and courage, all came from the maritime schools located in rural areas. 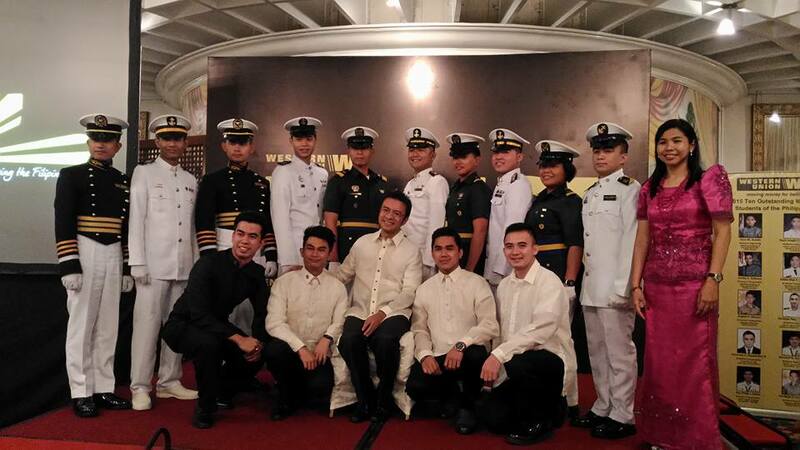 "We have always believed in the Filipino Seafarers. It is incredibly inspiring to see these young men and women, both from cities and rural areas sharing their passion and excellence in their craft. Even going beyond themselves by serving their country and supporting their families," says Patricia Riingen, SVP South and East Asia and Oceania, Western Union. "It is reassuring to know that we produce quality mariners here in the Philippines. Students are confident in presenting themselves and are driven to work their way up, leveraging on the skills they have acquired in school." Filipino seafarers are among the best seafarers in the world. One of the best schools is PNTC Colleges.